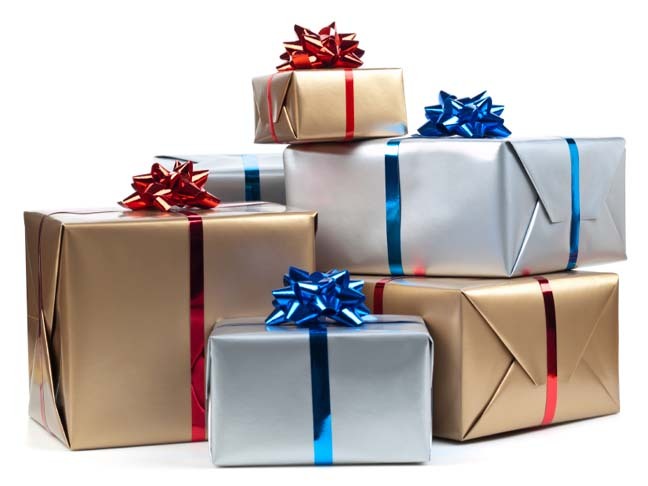 As a young child, I remember a stranger showing up at our door with a box full of wrapped Christmas gifts. My parents were divorced and my mom was tackling raising two small children on her own. While like all parents, she wanted to give us a magical Christmas, purchasing Christmas gifts was the last thing on her mind. Instead of lamenting over which toy we’d like best, she was kept awake at night wondering how she would heat our home and keep food on our table. When we were old enough to understand why a stranger arrived that night bearing gifts, it was the last Christmas we received them. Instead, from that time on, each Christmas my mother would take us shopping for other children who needed someone to deliver a box of gifts to them. Now that I am a mother myself, I have the opportunity to teach my children to recognize and meet the needs of others in a tangible way. This year, our family decided to sponsor a local family in need and give them a Christmas morning like our children would experience. Since we wanted our 2 year old daughter to have an active role in what we were doing, we selected a family that had a daughter the same age. We purchased several of the same items our daughter would be getting for Christmas for our sponsor family, had our daughter choose some gifts to give and asked friends and family to purchase one less gift for our children and to instead purchase one for the little girl we were gathering gifts for. Even in a down economy, the generosity of our friends and family was overwhelming. So overwhelming in fact, that we were able to sponsor another family. And another. And four more. I reached out to my local moms group, business contacts and church family for donations and again the response was overwhelming. Armed with an handful of paper angels bearing the gender and ages of children one Sunday morning, after making a brief announcement during our church service about what we were doing, all of the angels were gone and people were asking for more. One local magazine I write for committed to getting all the gifts for a family with three boys on our list and baby gear companies I’ve developed relationships with sent several items to be given away. During our gift drive I’ve learned that people want to help. They want to give, but often times they don’t know how or they don’t think what little they can do would really make a difference. I’ve seen firsthand, (and the evidence is currently piled in my basement) that while a small gift may not seem like much, when added to a pile, it makes a huge difference. For our family, Christmas is about the love of God and about showing that love to others. Teaching our children to recognize the needs of others and meet them in a tangible way is important to us. Giving gifts to children who may not otherwise have them is one way we can teach our children to demonstrate that love. Wherever you are, there are people in need around you. When you learn of a need, take the opportunity to meet it. If you have heard that “It is better to give than to receive,” you will know it is true once you do.